AUSTIN, Texas -- Texas Gov. 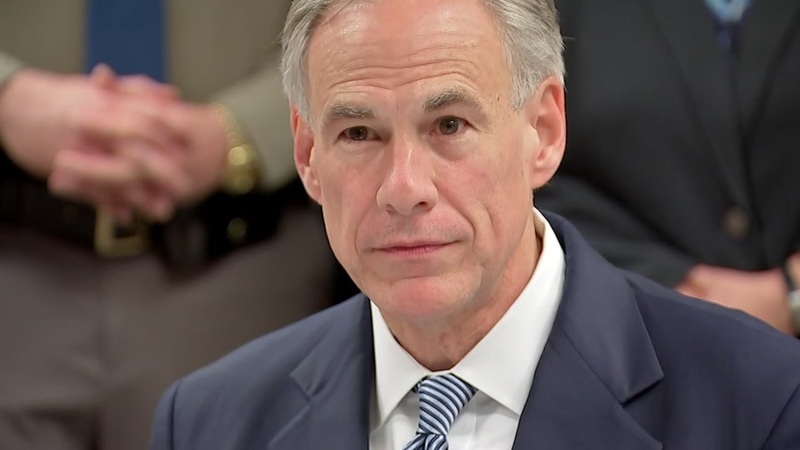 Greg Abbott on Sunday night signed what he calls a ban on so-called "sanctuary cities" that allows police to ask about a person's immigration status and threatens sheriffs with jail if they don't cooperate with federal authorities. He did so over intense opposition from immigrant-rights groups and Democrats, who say the law echoes Arizona's immigration crackdown in 2010 that prompted national controversy and lawsuits. Abbott, a Republican in his first term, took the unusual step of signing the bill on Facebook with no public notice in advance. He said Texas residents expect lawmakers to "keep us safe" and said similar laws have already been tested in federal court, where opponents have said the bill likely will be immediately challenged. "Let's face it, the reason why so many people come to America is because we are a nation of laws and Texas is doing its part to keep it that way," Abbott said. His spokesman, John Wittman, later said they chose to sign the bill on a Facebook livestream because that's "where most people are getting their news nowadays." The bill cleared a final hurdle this week in the Republican-controlled Legislature over objections from Democrats and immigrant rights supporters who've packed the Texas Capitol. They call it a "show-me-your-papers" measure that will be used to discriminate against Latinos. Reaction to the signing spread swiftly in Texas and beyond. Thomas Saenz, president of the Mexican American Legal Defense and Education Fund, said millions in the nation's second most populous state will now be subjected to racial profiling and suggested that worried Hispanic residents will now be less willing to cooperate with police investigations. "Given the size of the state, this may well be the most costly gubernatorial signature in all of United States history," Saenz said. Republicans have a strong majority in the Legislature and shoved aside Democratic objections to push the bill, even as President Donald Trump's efforts to withhold federal funding for sanctuary cities have hit roadblocks in federal courts. Opponents blast the Texas bill as a version of Arizona's immigration crackdown law, SB 1070, which launched protests, lawsuits and national controversy in 2010. The Arizona law went to the U.S. Supreme court, which voided much of the measure but allowed the provision permitting police to ask about immigration status. But the Texas and Arizona bills are not identical. Whereas the Arizona law required police to try to determine the immigration status of people during routine stops, the Texas bill doesn't instruct officers to ask. But it does allow Texas police to inquire whether a person is in the country legally, even if they're not under arrest. But Sally Hernandez, the sheriff of Travis County, which includes liberal Austin, enraged conservatives by refusing to honor federal detainer requests if the suspects weren't arrested for immigration offenses or serious crimes such as murder. Hernandez softened her policy after Abbott cut funding to the county, saying decisions would be made on a case-by-case basis. She has said she will conform to the state's ban if it becomes law.